The "Goldener Stern" lies in the heart of the Erzgebirge (Ore Mountains). 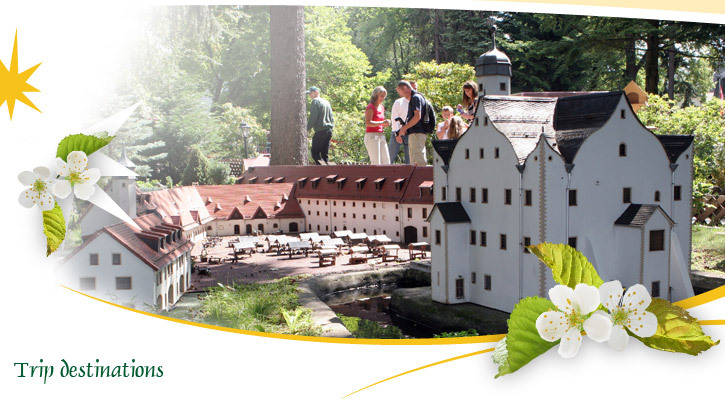 The most attractive destinations in Saxony are easy to reach. Children will love the "Klein-Erzgebirge" miniature park in Oederan, the summer toboggan runs in Augustusburg and Seiffen or the Sonnenland leisure park. Shopping fans can enjoy modern Chemnitz or historic Freiberg. Culture fans will be attracted by Dresden, Meißen or, only 100 km away, Prague - the most beautiful pearls of the east, and nature fans will just love the unspoilt peace of the charming landscape in the Erzgebirge with high points like the Fichtelberg or the romantic Zschopau valley. You can spend weeks here and still find new outings. There's only one thing for it: come again soon!